Join the community at Yoga Studio Satya for restorative yoga in Colorado Springs. This gentle yoga stretches and helps release tension and fatigue stored in the muscles, while restoring energy and balance to the body. Scheduled on the first Friday of each month, this donation-based class benefits our Mindful Yoga Therapy program. 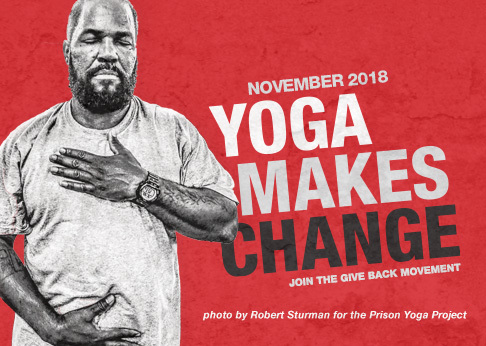 Join 108 Studio Partner Yoga Studio Satya for a monthly donation-based restorative class that helps us to bring the healing power of yoga to veterans. This is a gently yoga that stretches and helps release tension and fatigue stored in the muscles, and restores energy and balance to the body. Relax in a supported restorative pose with a guided breathing technique called pranayama, to regain steadiness and bring clarity to the mind. Open to everyone who wants to feel great! Learn more about Yoga Studio Satya’s support for yoga for veterans, and upcoming Mindful Yoga Therapy teacher trainings hosted at the studio. Your donations benefit Mindful Yoga Therapy, a program supported through the Give Back Yoga Foundation.